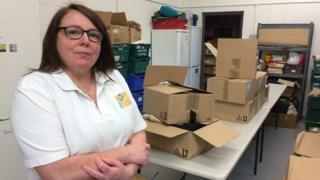 A food bank in Bournemouth is appealing for emergency donations after burglars stole a month’s worth of goods intended for families in need. Volunteers at Hope For Food said the site was trashed, causing £3,000 of damage, and 90% of food, clothes, toiletries and toys were taken. More than 400 families will be affected following the burglary on Friday. She added: “It’s going to have a huge impact on our families. One family we needed to get food to yesterday, but we didn’t have any. “A van was supposed to go out tomorrow but there’s nothing to go into the van. They’ve [the burglars] taken a good month’s worth of food. The organisation, based on the West Howe Industrial Estate, has appealed for urgent donations of non-perishable goods such as tins of food, pasta, biscuits, sauces in jars and squash. 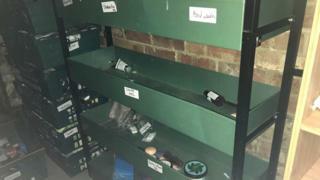 Toiletries needed include nappies, toothpaste and shampoo. 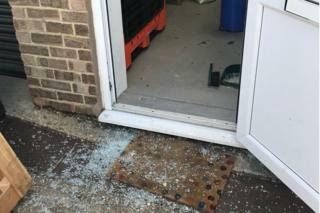 Dorset police officers were at the scene investigating the burglary and the vandalism, which includes smashed windows and fridges left open, with ready meals thrown on the floor.